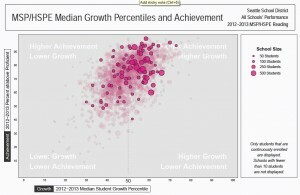 Here are the growth results for reading, for math, and for Algebra 1. The hot pink dots are Seattle schools. The pale pink dots are other schools in Washington.